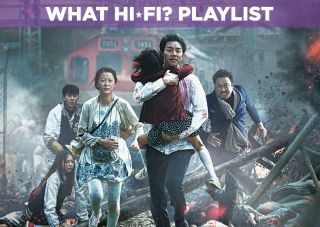 Train to Busan – Blu-ray review | What Hi-Fi? Over 50 years has passed since George Romero, the grandfather of the zombie movie, first unleashed cult classic Night of the Living Dead. Since then, the horror subgenre has kept shuffling painfully along like the brain-eating deadites themselves. Today we have zom-coms (Shaun of the Dead), zom-rom-coms (Warm Bodies), Nazi zombies (Dead Snow), and Cockneys vs Zombies. Even zombies in lederhosen (Attack of the Lederhosen Zombies). Of course, remakes have reared their heads, as has the occasional big-budget blockbuster, like the car crash that was World War Z. But it’s when we step outside Hollywood that we often find the life in the undead; the likes of the found-footage RECs, and 28 Days franchise, Canada's Pontypool, and now the engrossing South Korean zombie flick Train to Busan. With as much heart as guts (and there's plenty of the latter), it is everything World War Z should have been (and is already set for a Hollywood remake, naturally). Train to Busan is a high-adrenalin zombie film with the sentimentality to make you cry. It's the blockbuster the genre's been waiting for. A divorced, workaholic father grants his daughter’s birthday wish to see her mother in Busan, but when news spreads of a deadly virus breaking out during their journey, it becomes a life-or-death struggle to keep it off the train carriage. While a ‘fight for survival’ story hardly takes the genre into uncharted territory, this is a compassionate, touching drama which is more interested in the living than the dead, setting a new benchmark for emotional and narrative intelligence. At its core, Busan delicately explores love and sacrifice within its father-daughter relationship, and by honing in on a group of surviving characters, taps into interesting social subtexts (in this case, classism) that historically underlay the first zombie movies. The horror aspects are built around these motifs, whereas too often it's the other way around. It’s an exhilarating, intense ride that doesn't let up, with gratifying gore, graphic close-ups of SFX make-up and original, skilfully choreographed set pieces playing into the hands of the film’s claustrophobic train setting. The occasional explosion and an impressively derailed train sequence (better than the one in Emmerdale) is a reminder of the quality of the film’s CGI, too. The Blu-ray transfer makes good on the rich cinematography; the blues of the childrens' school uniforms, the orange details on the train, and greens of lush Korean landscapes leaping out against the insipid hues of the industrial scenery and surrounding dirt tracks. There's a 5.1 DTS-HD audio track, but those with a good stereo set-up shouldn't suffer too much, which is something we don’t say for many action films. It's a subtle surround-sound experience, although during scenes of carnage, such as the zombie chase and train derailing, the extra channels (and even more importantly, a subwoofer) add to the immersive experience. Most crucially, the decent two-channel performance takes advantage of the dialogue and in particular the memorable orchestra-led scene, where an intimate piano and string composition will have even the most hardened zombie-watcher reaching for the tissues.